If you can't stand the heat, stay out of the kitchen, but if you can stand the heat, tie on your apron and get cooking! 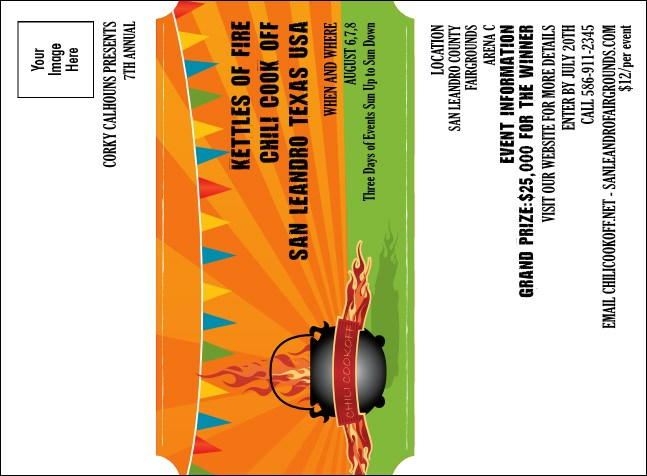 For the community ritual of the annual chili cook-off, There's the Chili Cook-off Event Kit. This bright invitation template, with a fiery kettle and spicy design, calls the competition to the range and gets the fun started off right. Indulge yourself with hundreds of designs for every occasion from TicketPrinting.com.